Minister of Megapolis and Western Development Champika Ranawaka has questioned as to why law enforcement authorities have failed to take action against the culprits who assaulted the students at the Jaffna University’s Science Faculty on Saturday. “When seniors at the Kelaniya University ordered their juniors to wear dresses and come to the university, they were arrested and imprisoned because of ragging, but how come no action has been taken against the culprits who assaulted the Sinhala students,” Ranawaka questioned. He said that the Tamil students are not facing any hindrance in conducting their studies or cultural events at any of the universities in the country, so how come the Sinhala students don’t have the freedom to organize a cultural event at the Jaffna University. “Are they trying to say that the Jaffna University is only for Tamil students, does this mean that Sinhala and Muslim students can’t go and study there? There is a deeper meaning to this incident, this is not just an assault on students, this is outright racism,” he said. “No one can deny anyone the freedom to engage in any cultural activity anywhere in this country. These racist and fascist elements must be defeated. If they want it to be an all Tamil university, then it should be shut down. Any child belonging to any community should have the freedom to go and study in any of the country’s national universities. These universities are running on the people’s money. We shouldn’t tolerate this,” Ranawaka said. He also called on the Tamil political leaders, and Northern Chief Minister C. V. Wigneswaran in particular to condemn the incident. Ranawaka also said that space must not be given for new Prabhakaran’s to be born. “We must nip this at the bud, we must defeat these elements. The law must apply to each and every culprit who were behind the assault,” he added. First, you, Champika, must be arrested for failing to remain at the accident scene and lie about it. You have no moral right to talk about anything. Your victim is still in coma state. Nobody knows the facts of the incident yet. Tamils need reconciliation now not Kandyan dance. Don’t create another war. All Sri Lankan suffered during the last war. Sinhalese may have won the war. But nobody knows about the future war. In the next war JVP/Peratugami sinhala youth will fight along Tamil youth for Tamil eelam. First of all stern action must be taken against the sole culprit behind the Rajagiriya accident. The real culprits behind the Jaffna University clash is the Army. It is they who urged the Sinhala students to create trouble. Government must find out who provided the dancers as Sinhala students in Jaffna do not have a Kandyan dancing troupe. Secondly the violence was started by Sinhala students by attacking Tamil students and they were joined by Army personnel. This proves that Army personnel were ready to unleash violence. Will the inquiry reveal the truth and put army personnel behind bars as what Champika wanted. oh…a new story now…Kandyan dancers were the students themselves. And if they were given the chance ( by force) to dance in the procession why the hell should they attack the very procession? The real culprits behind the Jaffna University clash is the Sinhala Army. There is talk in the town that the SL military personal loyal to Gotabaya Rajapakshe were involved in instigating the Sinhala students to go ahead with the Kandyan dance and attack the Tamil students if they protest. This is an attempt by the joint opposition to create an island wide ethnic violence or rather another black July to destabilize the present government. Are you day dreaming? Wake up brother, Don’t be a racist and apologist! Condemn what is wrong. It does not matter who provided the dancers! it does as it comes from white supremacy like your borrowed kamise and tunapahi kuddu. It is clear from your postings where you stand. You have already made a judgement that the culprits were the sinhala students wit h the support of the armed personnel. Isn’t that the version of the Tamilne that came out the next day? Isn’t there a pattern developing to make the Tamils blameless of any wrong doings and like them to be exonerated? The students do not have to have a Kandyan troupe in Jaffna. They could easily organise one from Kandy that is not million miles away. You made comment on FOC of London about lack of Tamil songs, but failed to explain if the opposite happens at the Tamil Cricket festive. This is where you guys are smart. The truth is you want sinhalese to get out of Jaffna so that you could have your dream land. This is the subtle way to begin that dream. What is next remove railway links and other road net works to the rest the country? Good luck. You guys are full of lies and this is how you misinform the international community. The Clash of the Paras, Para-Sinhala and Para-Tamils, promoting their Para-Cultures in the Land pf Native Veddah Aethho. Why not call a spade, a spade, and Paras, Paras? Why not ask the Paras to get hack to their Homeland- South and Eastern India, and sort it out there. The Hindians will laugh at the Paras. Champika is doing his MEGAPOLICE work because his megapolis work is gonna be a flop. I liked the way he clung on to president’s sarong as soon as the election was won. Pretended to be the right-hand man of Prez. Channel news Asia wrongfully reported that too. Min. Champika you know Colombo has its own intricacies. An outsider like you or Gota cannot reform, remodel or maintain it. Result is flooding, traffic blocks etc..get someone from Colombo to help you. You can keep yourself busy with that. I too hooted at the irony, and the bare faced cheek of Patta Champika, a thick-skinned joker who masquerades as a minister of state. To think that we have people gullible enough to think that he can lead us to the promised land. Anduwe Cabinet Minister kenekma madyata kiyanawa nam action ganne ne kiyala ahinsaka api gena kawara kathada? Even Minister Champika has jumped the gun and come to a foregone conclusion that the Tamil students created the problem without waiting for an official report from the Jaffna Uni. authys. No one knows as to who started the disturbance.All we knew was that it was a unique event where the freshmen, both Sinhala & Tamil students to the Jaffna Uni. were to be welcomed to the Science faculty in Tamil traditional way by beating drums and dancing, in contrast to what harassment they get in other Universities. The problem was that the request to have Kandyan dancing came in too late as the organizers of the event could not have had fitted such a request last minute as the event was organized on a fixed agenda. It would have been better for this guy Ranawaka to shut his gob, instead of fanning the fire with a racial motivation. What does he want? The 1983 style riots in the south? Race may be a part but what is clear to me is that one unruly set of students attaching another lot trying to have the upper hand. A very common thing in any university. Not a good idea to send off Sinhala students on buses to the south; we needed a strong and stable VC and not this woman that has been panicing to the slightest disturbance in her patch. The V.C Vasanthy Arasaratnam should be fired for allowing this to happen. So few university students know what is going on behind their backs. The incident itself was probably just bad luck – but bad luck visits people who have ignored all warnings. Thrishu should not be concerned about Ranawakas motives or his sincerity about Sinahanationalislm. He is a CIA/Diaspora payee/agent and a LTTE wolf in sheep’s clothing. Thrishu,; You can count on the support of Champika Ranawaka, JVP, and Citizens From and Anti-corruption movement for Tamil Separatist cause. They are all in the pocket of CIA and tamil Diaspora. So you were waiting impatiently for a sit stirer like Ranawaka to lead you to set fire to Tamil homes or to main them for your cowardly pleasures and sadistic tendencies. Good that we could recognize traitors like you in fake patriots garb, which give Sri Lanka and Sinhalese a bad reputation. Go fly a kite! Champika better look at the clips again and watch what he wishes for he just might get it. The procession was on with Tamil drums with no disturbance until some one attacked the procession. University students should sort these differences through discussion, than allowing racist politicians like champika to capitalize on these issue. Mahinda’s government had sinhala racists. This government has Tamil racists, terror supporters, Islamic fanatics and not to the outdone the biggest opportunistic Sinhala racist and his fellow monk buddy. But ofcourse in about to be posh, educated and revolutionary you have to ignore this elephant in the room. Champika is correct. This is buddying Prabakaranisation which must be crushed immediately. Trying to brush off the coal caught in the sarong! Who said that !! Mr.Minister !! We did not hear any one said that !! If so why not taken any action!! You can verify with the relevant authorities !! Universities administration !! Chancellor !! Dean !! Lecturers !! Student union !! University teachers association !! Have some respect !! Speak with responsibility !! This is orientation to welcome the new students !! To become familiar with new surroundings !! Culture !! Environment ! !Reference to place !! People !! I am sure security intelligence recorded the incident !! Remove every one from university who initiated the violence !! Dismiss them and give chance to the pupil who left out !! Champika sees this as a golden opportunity to divert attention from the Coal Power deal! Yeah! he should be feeling the heat from the coal. Mahinda is waiting for an opportunity to grab the lost power before he dies. We can smell the blood dripping through his tongue to kill more people and plunder the wealth of the nation. His stooges may be guising as Kandyan dancers to create another July riots just in time. Hypocrisy at best. Talks about freedom, reconciliation, democracy etc but cant even tolerate a Sinhala dance. Hope sinhalese wont lose their sanity over these pathetic double standards by these bloody politicians and their blind followers. In our campus, our Tamil brothers partied after suicide bombings and big operations by LTTE, still we tolerated them! Tamil students participate in lot of southern universtiy cultural events! Don’t talk what you don’t know! UNP Kirra says, according to his intelligence reports , it was people from the South who came and assaulted the Sinhala students.. This man is pouring kerosene into the fire. Playing his usual racist politics again. He should be in jail for knocking down a motorcyclist. What ever said and done by others, Champika is correct !! Champika what were the occupying Sinhalese armed forces doing in civvies joining the fray and attacking the Tamil students? This sort of incidents happened not only in Jaffna but also in Batticaloa and Trincomalee campuse. How they arrive there in cue and in time? This shows they were in cohorts with the Sinhalese students there and had instigated them to be arrogant and show disrespect to the local Tamil culture not only in Jaffna but in the east too and demand Sinhalese culture that is alien to these areas to take precedence. These Sinhalese students are behaving in this arrogant cocky manner and treating the Tamil student and Tamil culture like dirt, because they know they will be backed and supported by a racist Sinhalese establishment( you have proved this) and extremely racist occupying Sinhalese armed forces and a police force that is also more than 95% Sinhalese even in Tamil areas. This occupying racist Sinhalese armed forces should be immediately removed from the Tamil north as well as the east. The local police in the north and east as well as in the south should reflect the ethnic makeup of the region and they should be fluent in both languages not just Sinhalese. They are the root cause all this problems as they behave like Sinhalese extremists and also overtly and covertly support various Sinhalese Buddhist extremist elements, that are now arriving in the north and east in hordes, are stealing and occupying Tamil lands and homes, desecrating Hindu shrines and installing Budda statues and Buddhist temple to facilitate further Sinhalisation in areas where there were no presence of Sinhalese at all. Tamils feel that this racist occupying Sinhalese armed forces and 95% Sinhalese police force are not there for law and order or to keep peace but to harass humiliate the local Tamil population and to facilitate the further Sinhalisation of whatever is left of their lands. This last minute arrogant demand of these Sinhalese students to dance the Kandyan dance to welcome all new students both Sinhalese and Tamils in a 100% Tamil area shows the future intention and arrogance of most Sinhalese. We are the ruling race and you are a subjugated defeated people ( thanks to various countries including India) even in your areas it is our culture that should take precedence and not yours. The local Tamil students saw through this ploy. This is the beginning and then there will be demand that during any public ceremony in the north or east, Sinhalese culture/dances Pirith chanting should take precedence over the local of the Tamil speaking people of the area. In the east it has already happened but now they are trying this in the north that is more than 95% Eelam Tamil in population. Despite a large number of native Tamil speakers of around 3.5 million living in the so called Sinhalese south( Indigenous. Indian origin and Tamil Muslim ) and in some areas like greater Colombo and central and western province making up almost 50% of the population, the use of Tamil language culture and form of openly expressing the Tamil culture Hindu/Christian or Islamic of these people is denied or not incorporated in any function. Government public or in the universities. Making then feel that they are not part of their own land. If this is denied to the Tamil speakers in the so called Sinhalese south how dare these Sinhalese students come to the Tamil areas and then demand their culture dances should take prominence over the local Tamil culture? Smacks of arrogant racism. What were the army personal doing in civvies joining the Sinhalese students to attack the Tamils? Proves all this was pre planed by them to create all this chaos. The arrogant last minute demand to include Sinhalese dances knowing it cannot be done and then without any authority to start dancing the Kandyan making a statement we don’t care about your laws or your culture but we are above this as we belong to the ruling community and can do what we like. As per law Tamil has equal statue with Sinhalese and all public servants members or the armed forces and police should be fluent in both language not just in Sinhalese and should be able deal in Tamil with the Tamil speaking public not ask and demand them to deal with them in Sinhalese. Tamil culture ( Hindu Muslim and Christian)should be given the same importance as Sinhalese culture. However this is not the case. Tamil is relegated to a second and third rate status and not given any place in the south, despite having a large Tamil speaking minority. Now even in the east that is more than 70% Tamil speaking and Tamil is the main language spoken in all the three eastern districts it is getting marginalised. Now they are attempting to do this in the North that is more than 99% Tamil speaking. This act by the Sinhalese students instigated by the Sinhalese armed forces police and extremist Sinhalese elements some in the government to does not show any form of reconciliation but smacks racist superiority. As long as Tamil culture ( Hindu or Islamic) is not given prominence down south as it should be and if anyone even dares to request this they are met with violence, Sinhalese have no right to demand the same in the north or east. What is good for the goose is good for the gander too. For Tamil youths, Eelam is long gone; Federalism not sure; police and land powers not yet implemented in 13A. Instead if you bring Kandyan dance to Jaffna, educated Tamil youths will get upset for the obvious reasons. Sinhala youths should understand the sentiments and bring truth and reconciliation first before Kandyan dance. Give time to heal. sinhala left youth know aggression only too well. the game is for the southerners to bring sleepy political kandy down. Like Turk strengthen single rule elected sinhala buddhist warlords. Jathika Hela Urumaya’s Leader Champika is a cultural racist and extremist. He formed a party to spread Sinhala Buddhist racial culture to entire Ceylon. If a speech like this didn’t come out of him on a beneficial opportunity like this for him only surprising. This was every bit of it was expected from this ugly racist. These ultimate racial leeches formed the UPFA and sucked the Tamils and even Sinhala blood. When the power was about change they all changed the side. It is from here in the fraudulent Yahapalanaya government now these leeches are searching for their victims. By refusing proper investigation on the accident he met, he has proved their objectives of having their political association changed – protect them from crime committed in day lights. Patali this not the first time changed his political loyalty. His loyalty history is only opportunistic political policy changing. He is ever ready, not just to abandon it, but to sink the Yahapalanaya ship too. Just like Hakeem, Champika did not just abandon the Old Royal ship when it was sinking. He had his reason to change. The leader of the Yahapalanaya Government, the New King changed his loyalty to Old Royals was only on an attack of the son of a DIG. That was a lesson to Champika. Champika was removed from Nuraicholai ministry by old king. It is well known Old King maintains files on everybody. Electricity price was to be increased 200%. 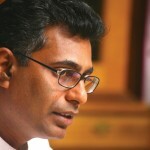 Removal of Champika from the Nuraicholai ministry was big threat to Champika. Pavitra made a long list of accusation on her predecessor for the problems faced by the CEB. Even recently China blamed that its report of 16 pages criticism of the quality of CEB employees was ignored by government. If the New King’s ministry was the worst in the Old Royal Chitanta government, Norochcholai ministry attracted computer attacks and sales Port City sovereignty to china. Thus it stood to next for the health ministry. The Yahapalanaya Government also, as the way roads were paved to corruption in the previous Old Royals Government, using the files it can put its hands on to subdue the rebels whom differ from its path, but it will not investigate any corruption took place then or taking place now. Ministers are confidently assessing the chance of escaping from crimes and so committing crimes and then just nodding the leaders’ wishes to escape from it. He is being investigated on few things. That is why he want to check and see depth of the water, if he disturb the country, how the Yahapalanaya Government, who keep lying to IC about reconciliation, will react. The talks about international mediation, pressure to withdraw PTA and introduce constitutional change, releasing Northern peasants’ lands and army withdrawing the North etc. all are excellent opportunities for Jathika Hela urumaya like cultural extremists to disturb the water and fish in that. . The chief of the commission appointed to find people’s opinion, Lal Wijenayake, openly lied that Tamils did not ask for Federal State, but it is only Tamil political leaders’ demand. Everybody from North unanimously contested this statement. 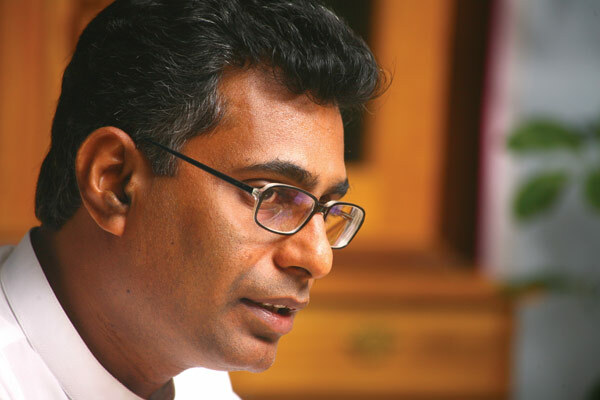 Earlier Champika too has said TNA was blocking the reconciliation by asking Federal State. So Champika too had to share the blow with Wijenayake, when Tamil leaders rejected his statement. Jaffna University reception customarily has been held only with simple Nadhaswaram. Never was Kandyan Dance included. It was planned to insert by outside forces. They used the students to penetrate into the other procession with theirs. It was an act of open attempt to carry out their object –provocation of Tamil students. Anyway, Champika like elements wanted to provoke and create fire. He knows Sinhala Modayas vote for his party are the firecrackers bust with without any fire. That is why this was planned. To spin that Champika, who blocked his accident investigation, readily came and gave out his verdict that the Tamil students have to be punished. His statement is clear indication of the provoking that was planned. When Tamils organized a massive protest in 2009 in front of White House, Sinhalese wanted to penetrate into it with their own. Washington DC police readily understood, it was not freedom expression, but freedom of provoking. They refused to allow the Sinhalese’s on the sport arrangement crisscrossing the Tamils’ pre-organized demonstration. This is how the ever fist Communal trouble Lankawe started too. Jaffna University administration which was well aware of the “on the spot organization” of the second one had every responsibility of stopping that provoking act by the “on the spot” reception organizers. But it didn’t. Champika’s law is “Majority rules”. Then I do not know why he could not tolerate the Tamil students lead the reception ceremony. But anyway, Sinhala students had three options. 1. Accept the customary reception that is with Nadhaswaram only. 2. Apply for the University administration for another reception at another time, by another path (Like Washing DC police did) for Sinhala students only and wait for their decision and follow up on that. 3. Meet the Tamil students organizers and had included multicultural reception or neutral reception. Provocation of inserting a disturbance in the reception and claiming disturbing the Tamils parade is Sinhalese freedom and that is Sinhala Cultural behavior was not an option. This was attempted in Batticaloa and it dot flare up to pogrom. Now it is being tested in North by Champika clan. The moment there is a racial overtone to any incident the Racist Brigade get all excited. Champika is a born liar yet he keeps scoring points with his followers with his racial rhetoric. Next it will be Gnanasara who will jump up and down. Champika R being a racist is irrelevant to the central issue. The NPC which passes resolutions by the score every month and the Chief Minister who has something to say on everything (except on ‘trivia’ like Indian poaching at sea, oil contamination of drinking water in Chunnakam and the proposed Sampur power plant) should have denounced the violence promptly without qualification, and appealed to the sense of the Tamil community to resist such acts in the future. The governor of NP Reginald Cooray is above CM Wiggy. WHAT POSITIVE ACTION the Governor took to calm down the situation. Armed forces and the police are under the Governor. Where was the governor when things were brewing behind the scene. The intelligence should have informed the Governor about the situation. Mr. Ranawaka you are inflaming the situation and quoting the past in a distorted way. Why can not you view this as a discipline and law and order issue. After full investigations take stern action. Why can not the governor handle the situation and deal with the media. Why not you go and learn from multi racial, multi religious succesful countries like Singapore and how they run the country. Pot telling kettle black will not take you anywhere. Next 2500 yrs you can go on like this. Truly, Those idiot should punished…after proper investigation..but the consequences of punishment should be those student (Sinhala and Tamil)learn lesson to find the solutions through discussion and how to build consensus among them in a conflict situation. Who is Chamapakaya trying to kid?.. He is the biggest betrayer of Sinhala Buddhists since Ehelepola . Mr Pirahaparan’s Tiger Academy was under control since Nanthikadal. That all changed after Batalanda Ranil and Bodhi Sira gave Yahapalanaya to Vellalala Tamils..
And the Vellala Sambandan publicly invaded the Killinochchi Army garrison. Now Sinhala students are beaten and shipped back to the South. And Batalanada Ranil the Yahapalana PM is in Singapore for 3 days to entertain the Tiger Supporter Diaspora and present his road map for Federal Eelaam. You must read the highlights of his Vision .I will list them when I get time.. He was a good man until he found the company of Puke Kossas; sorry I mean Rajapakshas. Who the bloody hell is Champika to ask Wiggi to tell this and that! JHU was born off extreme nationalist views. Brawls among undergraduates are common. Champika rarely takes note. Here he is hinting “How dare Tamil students clash with Sinhalese students”. Sad indeed. First and foremost stern action must be taken against Minister Champika Ranawaka who scooted off after having knocked off a young motor cyclist. He was identified by another motor cyclist whop waylaid the minister on the run and if not he would have escaped. Such a coward unable to face and deal with the young man seriously injured. No action was taken so far. He should have been arrested.